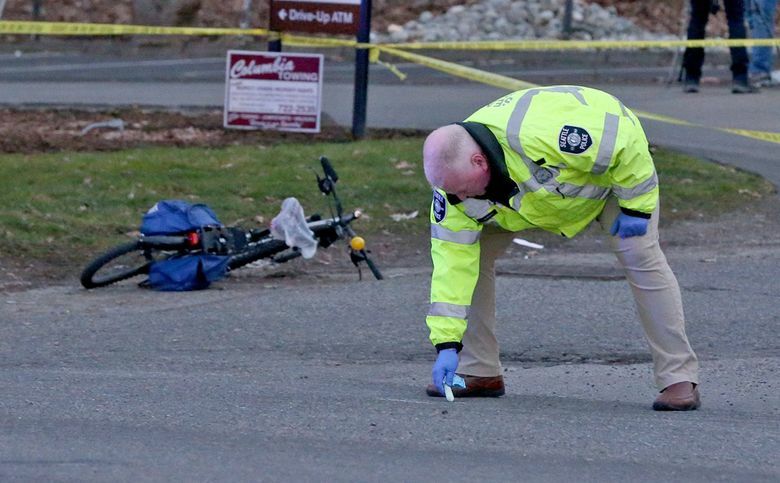 A bicyclist was killed near Rainier Beach Monday after being struck by a driver who then drove off, according to a statement from the Seattle Police Department. The man was hit in the 9200 block of Rainier Avenue South at 4:50 p.m. while trying to cross the street, said Seattle Police Detective Patrick Michaud, a spokesman for the department. Medics attempted life-saving measures, but the man died at the scene, he said. Police do not yet know the victim’s age. Police are still searching for the driver in the hit-and-run, who witnesses described as driving a white sedan, according to police. Both directions of Rainier Avenue South were shut down, and drivers should avoid the area, Michaud said.